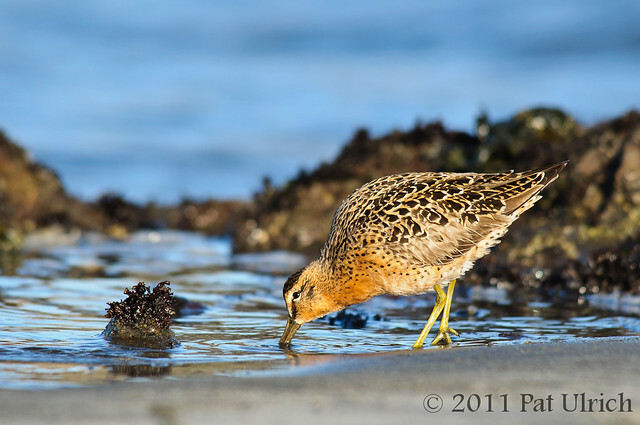 A short-billed dowitcher in breeding plumage feeding in the sands of Pillar Point Harbor. While these shots are pretty similar, the slight tilt to the head gives it a different feeling to me. In the top shot, the bird makes good eye contact with the viewer, and that can pull me in a bit. 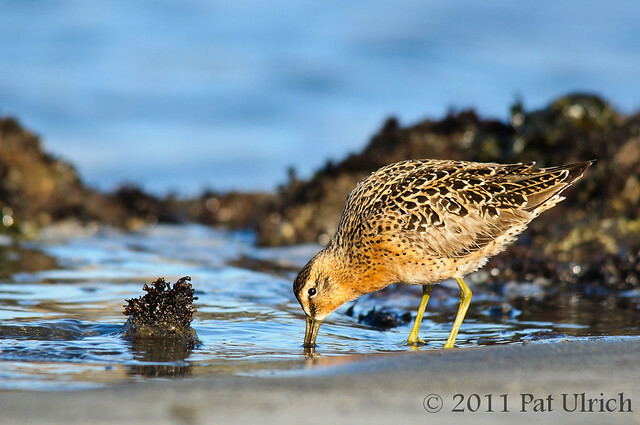 But in the second shot, I like that the dowitcher seems much more focused on the task at hand. And if you've ever watched dowitchers feed, they are quite intense as they rapid probe the sand in sewing-machine fashion. As I was photographing the feeding dowitchers a group of western sandpipers came running through the frame, so I refocused and snapped of a few shots with the dowitchers in the background. 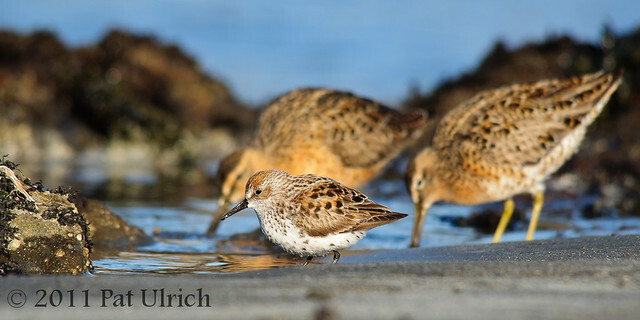 More of these lovely shorebirds with extra long bills in my Dowitchers Gallery.